March 29 is a significant date that is part of American history, for on this date in 1911, the Army formally adopted the Colt semiautomatic pistol as its official sidearm, quite possibly the most battle-scarred handgun on the planet, a pistol that helped America win two world wars, rode with Black Jack Pershing in pursuit of Pancho Villa, went with the troops to Korea and Southeast Asia, and even now rides with sheriff’s deputies and police across the landscape. Designed by the legendary John Moses Browning, the Model 1911 has made history with Texas Rangers, U.S. Marines and so many other heroes it’s hard to keep track of them all. 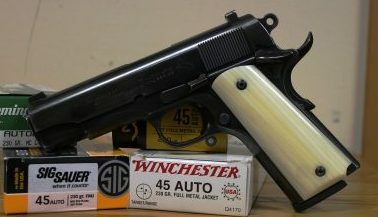 It is still manufactured today by Colt. Of course, they were also used by gangsters, in real life and on the screen, and assorted other bad guys, real or fictional. 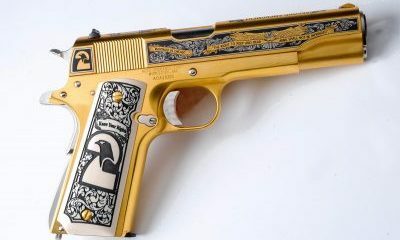 When the Second Amendment Foundation had a commemorative pistol built as a fund-raiser a few years ago, they chose the Model 1911 platform. Browning probably never imagined that the pistol he designed would have such a storied history and make such an indelible mark on America. It has been the choice of so many competition shooters that it has become quite possibly the most popular and most modified handgun ever made. It is the choice of millions of law-abiding armed citizens for home and business protection and legal concealed or open carry. 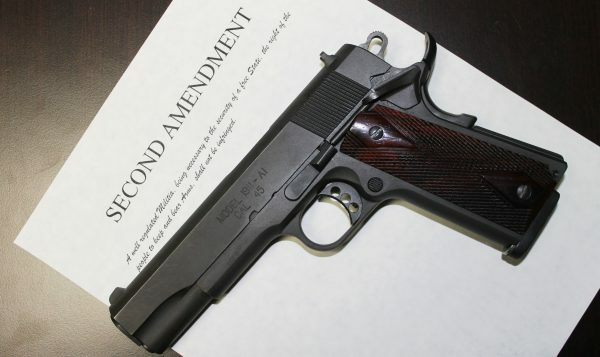 The original Colt has spawned so many clones that for a while it seemed like everyone was offering some version of the 1911, which has also been known as the Government Model. During WWII, pistols were made by Remington Rand, Ithaca, Singer (yep, the sewing machine company) and Union Switch & Signal. Today, there are models from Springfield Armory, Ruger, Smith & Wesson, Taurus, Wilson Combat, Les Baer, Nighthawk Custom and many others. More compact versions include the Colt Officer’s ACP and Colt Commander. Primarily chambered for the .45 ACP (“Automatic Colt Pistol”) cartridge, there have been variations that fire either the 9mm, 10mm or .38 Super, but the .45 seems to overshadow all the others. Why so much attention to a handgun? As devoted American handgunners will explain, this isn’t just any old pistol. It’s something much more and it is uniquely American. It has been a life saver and a threat-stopper for more than a hundred years, and there are few other firearms, or any other piece of emergency survival equipment, that can make that claim without fear of contradiction. Did we leave something out about the Model 1911 that you think should be mentioned? Fire away below in the “Comments” section.